It was a rare feat accomplished for the WWF-India when two photographs of the Red Panda were clicked in its natural habitat by one of the camera traps in Sikkim. The Red Pandas are naturally shy and secretive animals. Due to their nocturnal habits, observing the Red Panda is difficult and photographing them is even more difficult. 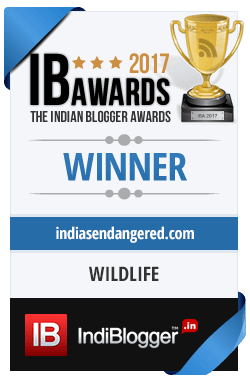 Thanks though to the efforts of WWF-India’s Khangchendzonga Landscape Programme team that introduced camera trapping in November 2010 the photographs could be taken of the rare and elusive animal. This was part of ‘Red Panda Project’ in Sikkim. The first photograph was taken at the Khangchendzonga National Park and the second was photographed by a camera trap on 3rd March in its natural habitat of bamboo forest along with rhododendron and oak. This photo was taken when the Red Panda was moving on the ground while traversing from one tree to another. These mammals are somewhat larger than the domestic cat with reddish brown fur and long, shaggy tail. They feed mainly on the bamboos but are omnivorous eating small mammals, insects, small birds and eggs too. The Red Pandas are found in temperate forests of Himalayas, in the foot hills of Sikkim, Bhutan, and Tibet. They are also found in parts of West Bengal, Meghalaya with majority of its population in Arunachal Pradesh. The Red Panda are also known as cat bear and lesser panda and are the State animal of Sikkim. They live on trees in coniferous forests having bamboo under-storey, hollow trees. The IUCN in the Red list has classified Red Panda as ‘vulnerable’ whose numbers are in constant decline due to habitat loss, fragmentation and poaching. Deforestation, outcome of clearance of forests for firewood, agriculture, has further contributed to dwindling of forest trees, particularly bamboo. The Red Pandas also have naturally low birth rate but high death rate. 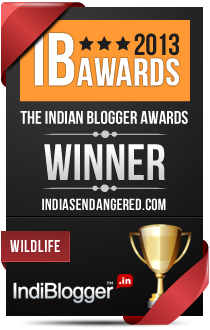 They are listed under CITES Appendix I and Schedule I of the Wildlife (Protection) Act 1972. In India, the biggest threat to Red Pandas is habitat loss and thence poaching. They are often sold to private collectors and are kept even as domestic pets. They are hunted for their bushy tails from which hats are made. Live stock grazing and deforestation has affected the breeding and feeding of these animals. Concentrating on areas like North east India, Khangchendzonga and western Arunachal the WWF-India is working to protect these rare Red Pandas. A survey has been conducted in alliance with the Forest, Environment and Wildlife Management Department (FEWMD), Govt. of Sikkim, to assess the present status, particularly in Sikkim. Initiating camera trapping of the animal was a positive step. Apart from this, intensive research on some of the select Red Panda habitat is being undertaken, with the local communities and FEWMD joining hands in tabling their food preference and micro habitat. It is a welcome participation by Government of Sikkim and local community based organisations (CBOs). So the WWF-India is not alone in the crusade of saving the Red Pandas.